A broken leg requires an orthopedist. A broken car requires a mechanic. And a broken heart requires a specialist too. The Breakup Doctor is now in. Call Brook Ogden a matchmaker-in-reverse. Let others bring people together; Brook, licensed mental health counselor, picks up the pieces after things come apart. When her own therapy practice collapses, she maintains perfect control: landing on her feet with a weekly advice-to-the-lovelorn column and a successful consulting service as the Breakup Doctor: on call to help you shape up after you breakup. 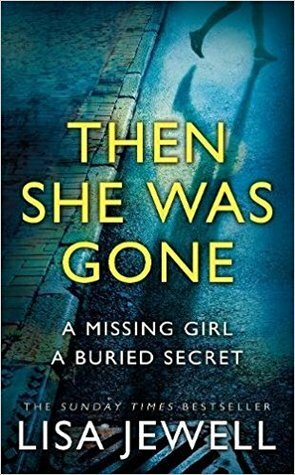 Mental health counsellor Brook Lyn (yes; that is her real name…) finds her life taking an unexpected turn when the offices where she works are demolished due to the discovery of asbestos. In desperate need of a new office and a plan, Brook and her best friend Sasha strike gold when they stumble across an idea for Brook’s new career path… After helping Sasha recover from one disastrous relationship after another and with her counselling credentials, the pair decide that Brook would be perfect for writing an advice column at the Tropic Times newspaper where Sasha works, on…wait for it…break-ups. However one thing leads to another when the pair pitch the idea to Sasha’s boss, Lisa. However, Lisa is not having the best of days and is distraught after her husband has walked out on her and her children for no apparent reason. Before she knows it Brook’s interview turns into a therapy session. And so a new idea is born…The Breakup Doctor? Offering counselling sessions to broken-hearted, confused clients soon proves to be lucrative for Brook, and along with her advice column things look as though they could really start to take off for her. At least they do until she starts experiencing relationship problems of her own when her boyfriend, Kendall, suddenly pulls a disappearing act and texts her to say break things off. WHAT? He’s only just asked her to move in with him! Surely this can’t be right, after suffering one disastrous break-up already in her life (Michael, whom we shall not speak of. Brook is totally over it after all…) surely she can’t be dumped by a seemingly perfect boyfriend again?? Whilst dealing with this, Brook is also hit by a ‘Mom Bomb’ when her mother reveals completely unexpected news and then there’s the discovery that her best friend is dating her brother which is too weird for words for unsuspecting Brook. I thought that the idea for The Breakup Doctor was a genius…who couldn’t use a little advice on their love life from time to time? Also, crucially, there’s the potential for one heck of a good story from it! The only thing that I couldn’t identify with Brook over was her shock and surprise at Sasha dating Stu, Brook’s brother. How could she not see that from a mile off (also the fact that it’s obvious they are perfect together)? I thought that as such a relationship expert, the fact that she hadn’t noticed these two or even put them together in her wildest dreams was a little odd. The Breakup Doctor is a fantastic debut and I can’t wait for the next book in the series. It’s got the makings of a great chick-lit novel and there’s plenty of laughs and romance. I love the underlying message to The Breakup Doctor too, that we can’t all be perfect all of the time and that sometimes you have to just let it all out and hit the bottom before you can start making your way back up to the top. 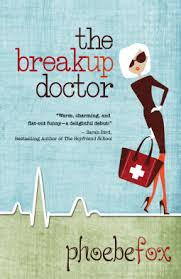 A huge thank you to Phoebe who provided me with a copy of The Breakup Doctor to review on my blog. 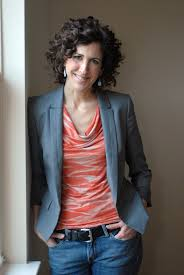 Phoebe Fox has been a contributor and regular columnist for a number of national, regional, and local publications, and is currently a regular guest blogger on relationships for the Huffington Post. 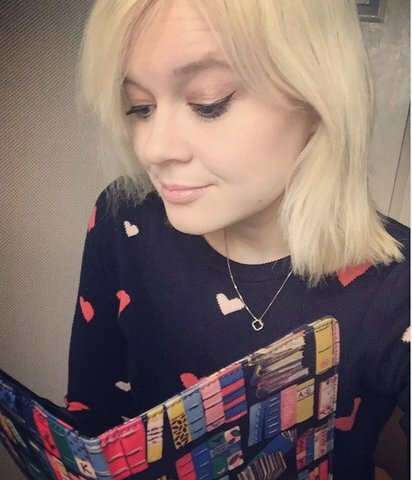 She’s been a movie, theater, and book reviewer; a screenwriter; an actress; and a game show host; and has even been known to help with homework revisions for nieces and nephews. She lives in Austin, Texas, with her husband and two excellent dogs. 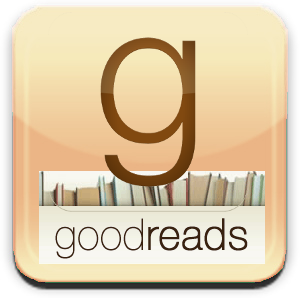 This entry was posted in 2014 Releases, 4/5, Book Reviews, Henry Press and tagged 4/5, Book Review, Phoebe Fox, The Breakup Doctor. Bookmark the permalink.